The 61-plate is here, and, as is always the case when the new number plate comes around, there’s a bit of a rush to get a brand new car on the drive. To help make selecting your 61-plate model easier we’ve gathered together a selection of the best manufacturer offers currently available. The Audi A3 is available in Sport trim for no extra cost over the lower SE level, adding larger wheels, sports suspension, dual zone climate control and sports seats, amongst other things. Don’t wait around, though, this offer ends on the 30th of September. The latest finance packages from Alfa Romeo allow buyers to put down small deposits and still pay back with a relatively low rate of interest. For example the MiTo Quadrofoglio Verde is available at 5.7% APR over 48 months with a deposit of £1,499. Complimentary spec upgrades are available on all models in the BMW range with the exception of the 6 Series. The 1 Series gets free Bluetooth and an upgraded audio system, while the 3 Series gets a free visibility package, which includes automatic lights and wipers and high-beam assist. The complimentary equipment varies from model to model, so it’s best to check. The Spark city car and Orlando MPV are available on low cost personal contract hire (PCH) packages which can be tailored to individual needs. There’s also 3 year/ 30,000 mile fixed price servicing from £299 on the Spark rising to £399 for the Captiva. Fixed price servicing and 0% finance are available on many models in the Citroen range, incuding the C3 and DS3 hatchback models. The Citroen Reward scheme reduces the purchase price of selected new models, too. Finally, the DS4 is available for 24 hour test drives, and if you choose to buy one they’re offered with three years free servicing. Fiat has a few models on special offer currently. The Punto 1.2 MyLife costs £9,995, down from £11,350, and comes with Bluetooth handsfree and a fuel saving stop/start system. The Panda Active is reduced, too, from £8,445 to £6,645. Finally, the Doblo Mylife is on offer, with savings of as much as £1,605 for the 1.6 Multijet. There’re reduced prices on almost all models in the Ford range when bought on finance packages, and there’s also a selection of accessories available with 15% discount. If you buy your new Ford insurance policy from Ford online then a 14% discount is available, too. The Jazz, Civic, Insight, CR-Z and CR-V are all available with 0% finance over four years depending on deposit. The i10, i20 and i30 are all available with price cuts at the moment, meaning the i10 is available from £6,995, the i20 from £8,495, and the i30 from £10,995. That’s a saving of more than £3,000 in the case of the i30. Hyundai will also give you a minimum of £1,500 for your trade in if it was registered between seven and ten years ago. XK, XJ and XF models are available with 0% advance payment plans, which allow you to pay a large deposit, then either pay off the remaining balance or return the car after two years. Kia has various models with money off. The Rio is reduced by £880, the Soul and Venga by £500, the Sedona by £1,000 and both the Carens and Sorento by £1,500. The Cee’d and Pro_Cee’d are both reduced, thanks to Kia paying 13% of the VAT charge. The Range Rover, Range Rover Sport and Freelander II are all available with 0% APR finance, depending on deposit. The RX 450h is available with £1,000 worth of free fuel and a £1,000 deposit allowance when bought with the Lexus Connect finance plan. The IS 250C is also available with a £1,000 deposit allowance. Mazda will contribute up to £1,000 of the deposit on Mazda2, Mazda3 and Mazda6 models, up to £1,250 towards the deposit on the MX-5 and up to £1,750 towards the deposit on a Mazda5. There are reductions of £1,835 on the Mazda2 Tamura, £2,705 on the Mazda3 Takuya and £2,685 on the Mazda6 Takuya. 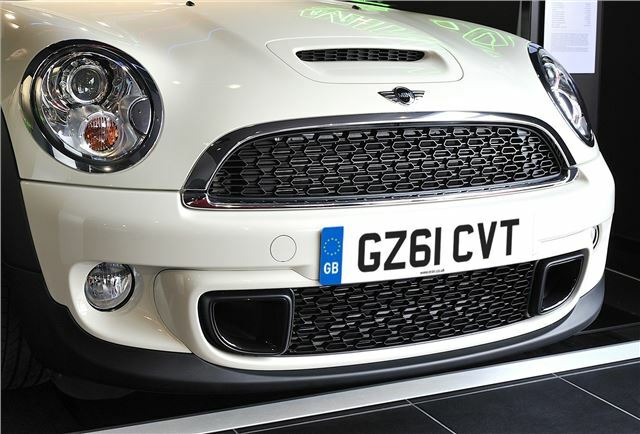 MINI will pay as much as £1,151 towards your deposit depending on the model you choose. Dealer deposit contributions are available on the MINI First, MINI Pimlico, MINI One hatch and convertible, MINI Clubman and MINI countryman. Mitsubishi will give an extra £1,500 for part exchanges when they’re used towards the Colt. There are also two Juro special editions available (Colt and Lancer) with generous equipment levels including leather and sat nav. Finally the Outlander, L200, Shogun and ASX are all available with interest free finance. The latest Advantage Nissan finance plan includes free servicing and free roadside assistance on top of the low rate finance, which starts at £169 per month for the Micra. It’s available on Juke, Qashqai, Micra, Note, X-Trail and Pathfinder models. Customer Saving deals mean the 107 in Urban Lite trim is available with £1,700 off, as is the 3008. The 207 is reduced by £500, and the 308 by £2,250. Finally the 5008 is available on a 0% APR finance deal. The Twingo city car is on offer with £1,000 off the list price for ‘Pzaz’ models, as is the Megane Pzaz, with £1,600 off the list price. There’re also 7.9% APR finance offers on the Clio and Megane, and you can buy three years servicing for £199 on various models. SAAB has the 9-3 ‘Linear SE’ in stock for immediate delivery. It features full leather, climate control, parking sensors and metallic paint. It’s available for £299 per month with an advance rental payment of £1,794. The well equipped Copa versions of both the Leon and Ibiza are being promoted by SEAT at the moment, with the latter available for £199 per month after a £199 deposit. There’s also free servicing on Altea, Alhambra, and Exeo models. Until the end of September Skoda is offering to pay the equivalent of 15% of the VAT on selected new models including the Fabia vRS. Besides that there are low rate finance deals on most new Skoda models. smart are offering the fortwo with a free equipment upgrade from ‘pulse’ to ‘passion’ trim, worth £800. The WRX STi 320R special edition costs no more than a standard WRX STi, yet has 20PS more power and comes with sat nav as standard. It’s available on finance with 9.7% APR, too. Suzuki will pay the VAT on Alto and Swift models, and the Splash, SX4 and Grand Vitara are all available with 0% finance packages. The new Yaris is about to go on sale and to celebrate Toyota is upgrading all new models bought before November 30th with the Touch&Go infotainment system. Until the end of September a selection of other models is available with a prepaid card which can be used to purchase the equivalent of six months fuel. Vauxhall’s latest Flexible Finance offer is available on most of the range, allowing customers to pick their own deposit and term so they can find the most affordable finance solution. Vauxhall will make a deposit contribution, the amount varies depending on the model selected. There are a variety of deals on offer from Volkswagen currently, including free insurance on the Polo (Subject to eligibility) and money off the Fox, Polo, Golf Plus, Scirocco, Eos, Touran and Phaeton. £299 fixed price servicing is available throughout the range, too. The C70 Coupe Cabriolet, XC60, XC70, XC90, S40, V50 and V70 are all available with free equipment. The C70 offers the most free equipment – a £1500 upgrade lands you £6,775 of optional equipment, including premium audio system, sat nav, keyless drive, sovereign hide leather and integrated sat nav.